Trials Rising has a local multiplayer mode. The motorcycle stunt racer will have local multiplayer when it releases in February 2019. My initial assumption is that the game would be bringing along some sort of ‘backy’ system (for the record, a backy is British slang for sitting on the back of a bike while another person rides it). 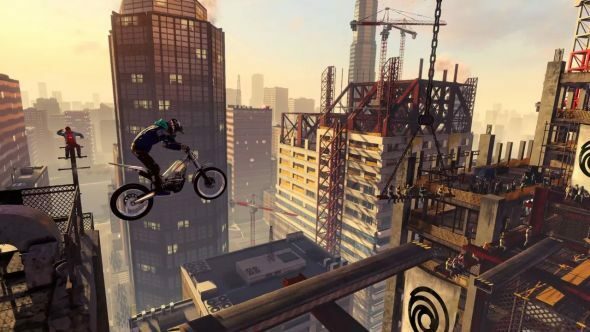 That would be complex enough, but Ubisoft has stepped it up a notch with Trials Rising’s multiplayer, in which you and a friend will be riding some sort of monstrous tandem motorcycle. Having never been a stunt driver (or been on a motorbike, for that matter) I’m unable to tell you whether Trials Rising deserves a spot on our list of the best PC simulation games. That’s right. Each player will have their very own seat and set of handlebars, but on the same bike. You and your soon-to-be not-friend will both have to do everything in sync in order to avoid wiping out, sprawled across the ground below in an ugly ragdolling mess. A hands-on from PC Gamer shows that players can very easily cancel one another out, or massively over-adjust for a particular stunt. In a series as granular as Trials, that’s unlikely to go very well for either party involved. Players will have to make sure to lean, brake, and accelerate just the right amount to ensure they actually make it to the end of each level.